Quick overview The only survivor is a baby - Mary Anning. Ignoring other people's taunts, Mary faces danger to bring back valuable treasures to help feed her family. Mary must depend upon her unique courage and knowledge to fulfil her dream of becoming a scientist in a time when girls have no opportunities for such ambitions. Ordinary is what most people are and I am not. I am not ordinary at all. I am a scientist. One stormy night, a group of villagers are struck by lightning. The only survivor is a baby - Mary Anning. From that moment on, a spark is lit within her. 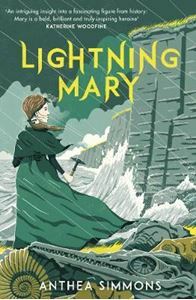 With a factual section about Mary Anning, her life, and the discoveries she made.